I am available to appear at a birthday party or corporate event with a puppet character. For children's parties I perform 'Claude'. For corporate events I perform 'Ryan Hollywood'. I am also available to appear with 'Doc Brown' from 'Back To The Future'. Claude The Incredible - tailored personally for Children’s Events. 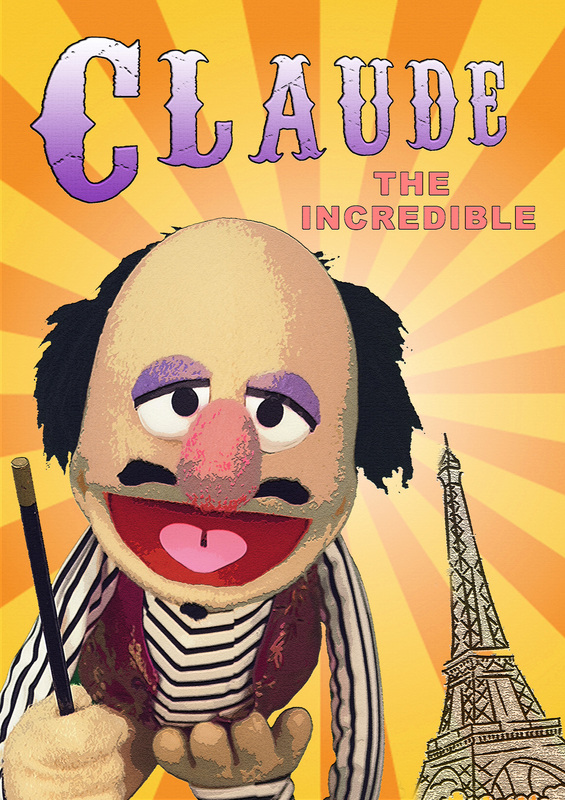 Claude is a magician and mime from the streets of Paris, and can add magic, fun and laughter to any room. Perfect for children’s parties, Claude will bring smiles to children big and small. Invite Claude to your child's birthday party and there will be non-stop giggles! Ryan Hollywood - tailored personally for Corporate Events. Ryan is a dazzling and fabulous entertainment personality all the way from Hollywood. Do you want to roast your staff, or are you after something light-hearted? Ryan does it all, and can make any room fabulous. Ryan Hollywood will add the sparkle and shine to your event.